Belgium’s total market size in 2015 was assessed at $12 billion (2% of the European ICT market) employing some 70, 000 people (45, 000 in hardware, services and software; 15, 000 in operations & maintenance, 10, 000 with telecom operators). According to the Digital Economy & Society Index (DESI) that ranks European Union member states on digital performance and competitiveness; in 2016, Belgium ranked fifth overall, out of 28 countries, in terms of digital economy development. The ranking takes into account digital public services, connectivity, integration of digital technology, use of internet and human capital. Over 78% of broadband subscriptions are at 30 Mbps or above. 65% of Internet users listen to music, play games and watch videos online (3rd in the EU) and Belgian businesses are second in Europe when it comes to electronic information sharing through business management software. The supply of Digital Public Services improved over the last period. 39% of Belgian Internet users actively used eGovernment services and 85% of the administrative steps in a major life event can be completed online. In April 2015, the Belgian Federal government launched "Digital Belgium" a Digital Agenda for Belgium, including plans for faster connectivity and digital skills. The European Investment Bank-European Innovation Partnership, a smart funding scheme, has been developed. European Investment Bank, along with Belfius Bank, has launched smart cities and a sustainable development program in Belgium. The project is funded with approximately USD 453 million. The other European countries funded by this scheme are Germany, the UK, France, Italy, and Spain. As a result of early internet infrastructure development, e-commerce is freely accessible in Belgium. High levels of broadband and cable access for high-speed internet are readily available in Belgium. In 2016, Belgium ranks sixth in fixed broadband (34.22 Mbps average) penetration in the European Union with 78% of Belgians using the internet at least once a week. In 2016, 44% of Belgians accessed the internet via a mobile device, this is well above the EU average of 37%. Belgium’s overall internet penetration is at 83% surpassing the European Union’s 73%. The most popular activity (behind social media) is internet banking at 73%. With 64% of consumers having purchased goods or services online, Belgium is ranked behind Denmark, the Netherlands, and Sweden’s 70%. Social media is equally strong with over 50% of Belgian’s population (independently of age) having an active Facebook account. Approximately 23% of Belgian companies are engaged in e-commerce, which is significantly higher than the EU average of 14%. In 2014, Belgium had the world's highest adoption rate of IPv6 connectivity. 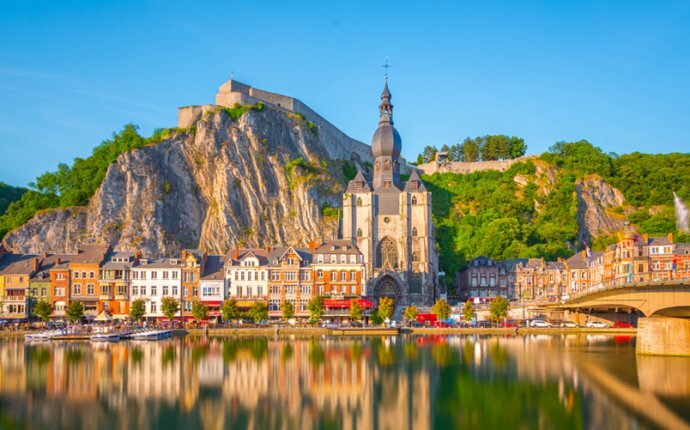 The need to tailor offerings according to local laws, culture, and in two languages (French and Dutch), combined with a small population, make Belgium a somewhat more difficult market for those entering the EU e-commerce division. However, in February 2008, eBay introduced a system to allow users in Belgium to register using an electronic identity card instead of a credit card. Using this government-issued electronic identity card, known as eID, provides greater proof of identity and security in exchange of electronic data. Such increased security provides for greater trust in the e-commerce market and may offer a boost in attractiveness. Belgian businesses increasingly exploit most of the possibilities offered by on-line commerce, social media and cloud-based applications. Almost a quarter of its SMEs sell online and 13% do so cross-border, an important channel to address wider markets. Although in the past the Belgian government has lagged in providing online public services, it is catching up and now offers tax filings online. In addition, the Belgian government is updating its electronic procurement structure and public tenders can now be submitted online. It is expected to soon launch its completed online-procurement system for purchasing goods from approved suppliers. In 2016, 39% of Belgian citizens made use of the internet for eGovernment services and 29% sent in online forms. These rates are above EU averages of 32% and 22% respectively. Despite its good overall ranking, Belgium still has potential to improve its online public services. In a ranking compiled by Rapid7, an internet security company, Belgium has the least secure networks among the 50 countries surveyed.